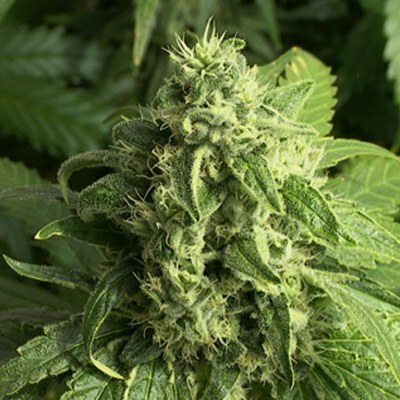 Tags: Amnesia Trance Cannabis Strain, Amnesia Trance Feminized Seeds. Amnesia Trance: Selectively breeding Amnesia Trance since 2010, Amsterdam Marijuana Seeds has succeeded to optimize these genetics for more potential growth and increased yields! The scent is musky with roses and peaches underneath. The taste is like musk with a flower undertone, spiced with pepper. Effects: The predominance of sativa causes Amnesia Trance to have a stronger effect on the mind than on the body. You may experience a sense of euphoria, relaxation, creativity and an overall feeling of bliss. Since this is a strong medical strain, drowsiness may occur after use. It can also help you to relax and sleep. Medical Use: Amnesia Trance is known to be great for stress relieve, insomnia, chronic pains and migraine headaches. Users claim this strain to be more effective than any pharmaceutical medication. Note: All cannabis varieties have the capability of making male flowers on 100% female plants. This phenomenon also applies to feminized seeds especially under strong stress factors caused by different growing techniques. Amsterdam Marijuana Seeds cannot and will not take responsibility of such cultivation implicated male occurrences. I used to buy from you but now I’m disabled and unable to work. I need pain relieve, so I prefer indica strains. I’m on a fixed income that’s barely enough to eat. I’m just wondering if you guys had any seeds you could part with to help me? Thank you and God bless. It’s not the best idea to smoke this when you’re already blackout drunk. It’s great to do if you want to forget about losing your job. i can’t remember my trip, glad i wasn’t driving.